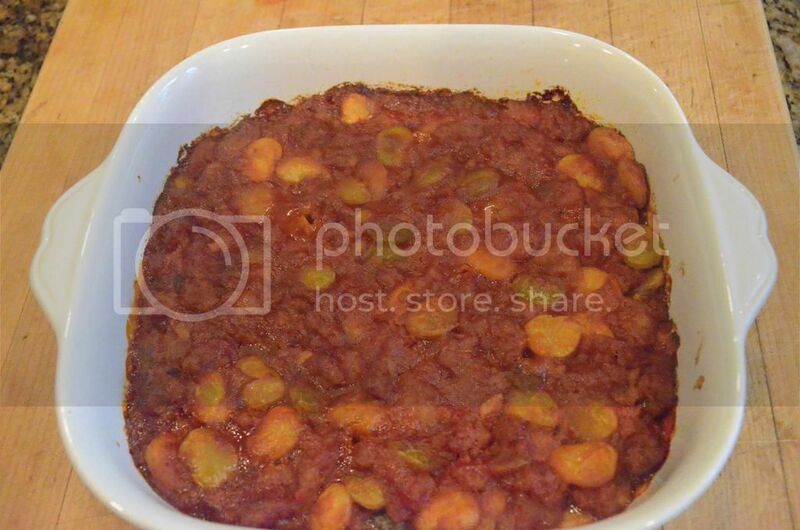 this recipe was titled "BBQ Baked Lima Beans" - but the bbq bit is a stretch. it is however a simple and delicious casserole. adapted and modified for quantities from a post by luckytrim. 0.5 lb / 225 grams pork sausage - coarse grind; for best texture, the cooked pork bits should be about half the size of the lima beans. 1 -2 teaspoons / 5-10 ml prepared mustard - I use dijon style. brown pork sausage; aim for about 50% crispy edges. 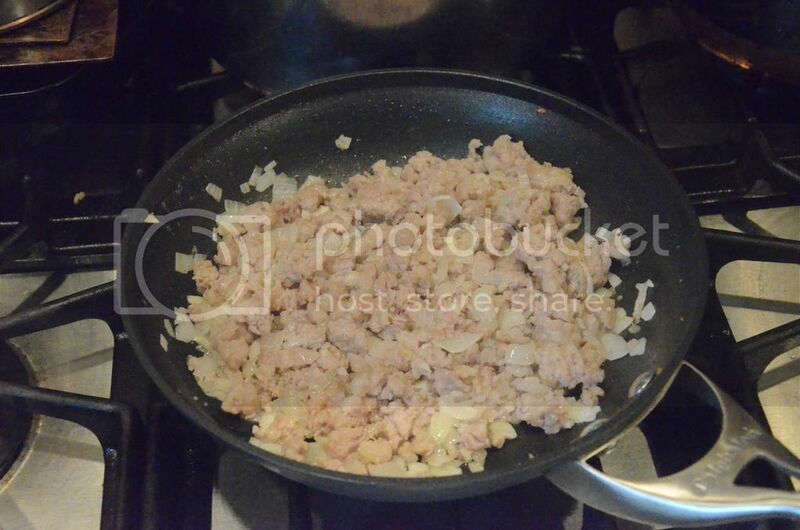 when the pork is about half done, add onion and garlic and cook through. 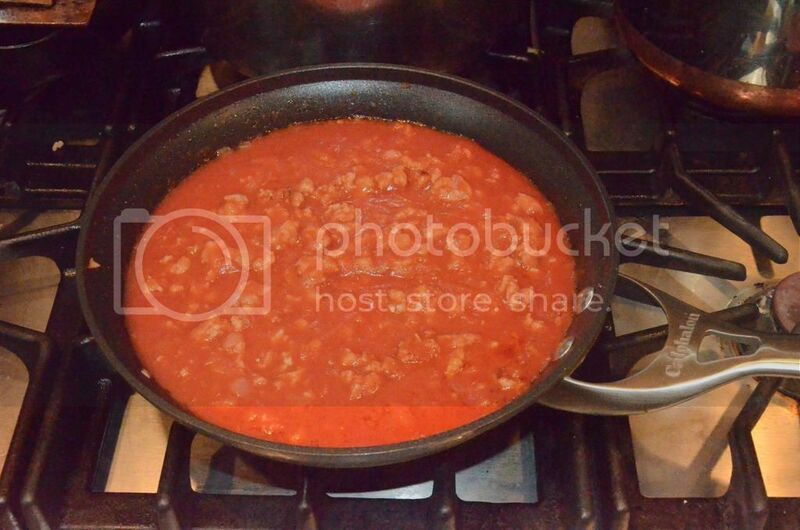 combine then add tomato sauce, mustard and brown sugar; cook over low heat until bubbling. transfer to casserole; bake uncovered at 350'F / 175'C for 45-60 minutes - this should make it thicker and produce a slight crust topping. God, that looks delicious! 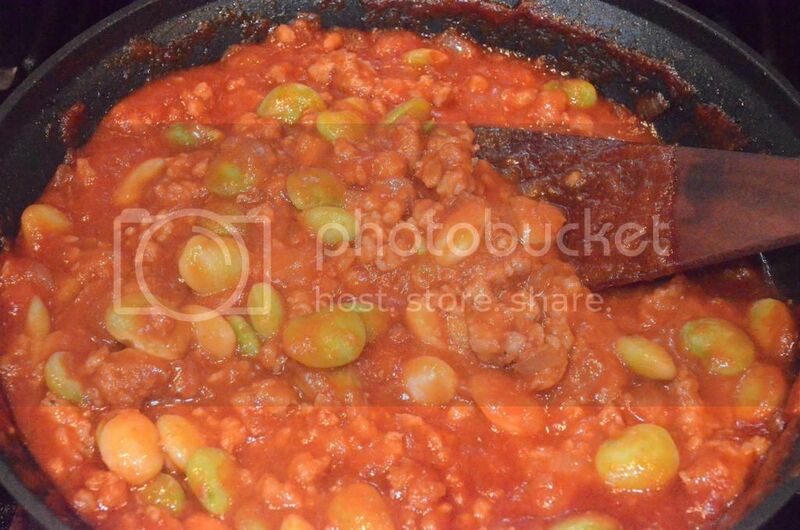 I buy dried lima beans, soak and pressure cook them. never tried it with dried beans - keep us posted on how it works out!